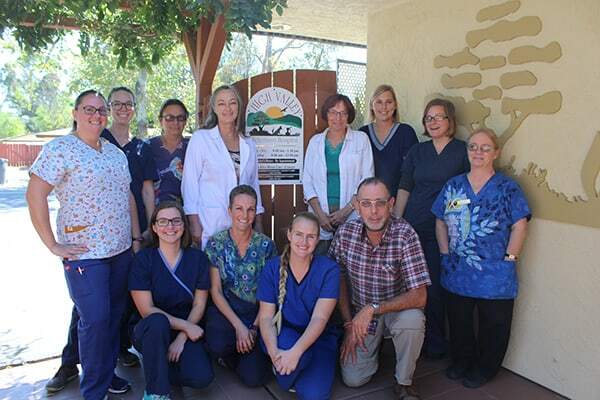 High Valley Veterinary Hospital in Ramona is a full-service companion animal hospital. We appreciate the special role your pet plays in your life and are dedicated to partnering with you to keep your pet healthy throughout its life. At this site, you will find information about our services. Thank you for visiting and we look forward to serving you. We are dedicated professionals committed to providing high quality, compassionate medical care to our patients. Our goal is to make that happen by creating partnerships with our patients’ families based on knowledge and trust and to help and guide in the decision-making process. Since October 1990, we have been your partner in keeping your pets healthy and happy. We look forward to serving you and your pets.